We're in the final stretch of summer. It's been a busy couple of months between delivering the latest batch of orders and also taking a close eye on improving all aspects of how we do bespoke. We are always looking to improve and have asked our customers what is working and what we can change. While they are enjoying our Sicilian heritage and high degree of flexibility, we've also learned there has been confusion around the fitting process and what could be adjusted post-delivery. Moreover, we missed a few things by loading everything in one fitting. To that end, we are now requiring two fittings for all new customers. This is a change from our initial model of delivering a finished garment after just one fitting for new customers. A single fitting is possible if everything falls into place. But since we cannot guarantee a single fitting will cover all possible variables over the course of several months, we no longer offer this. We're also improving our process behind the scenes to ensure we capture all of our customer requests, no matter how small, in time for delivery. In the meantime, we'll be back in San Francisco (October 11) and New York (October 13-14) for client appointments and look forward to seeing you there. A la prossima! Our 360 Bespoke line is limited only by your imagination. We will go to extraordinary lengths to source the perfect cloth for your commission by consulting with leading English and Italian mills and our own sources for rare cloth (e.g. private sellers and collectors). 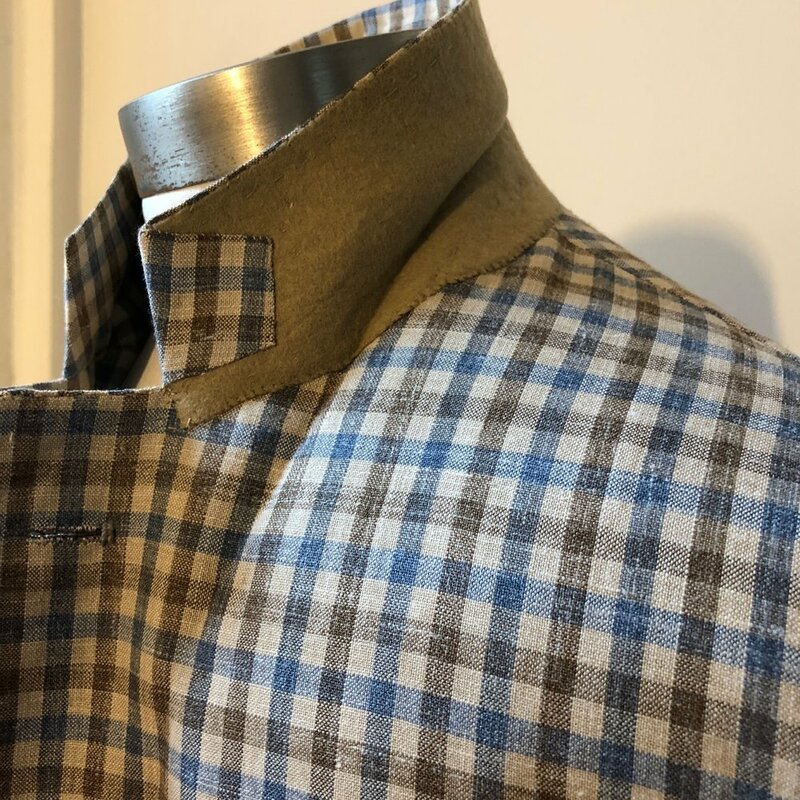 Included with all 360 Bespoke orders is a tremendous cloth selection covering 95 percent of the fabric universe for menswear (silks, cottons, linens and wool). Rare vintage or specialty cloths such as cashmere and vicuna are also options (pricing available on request). 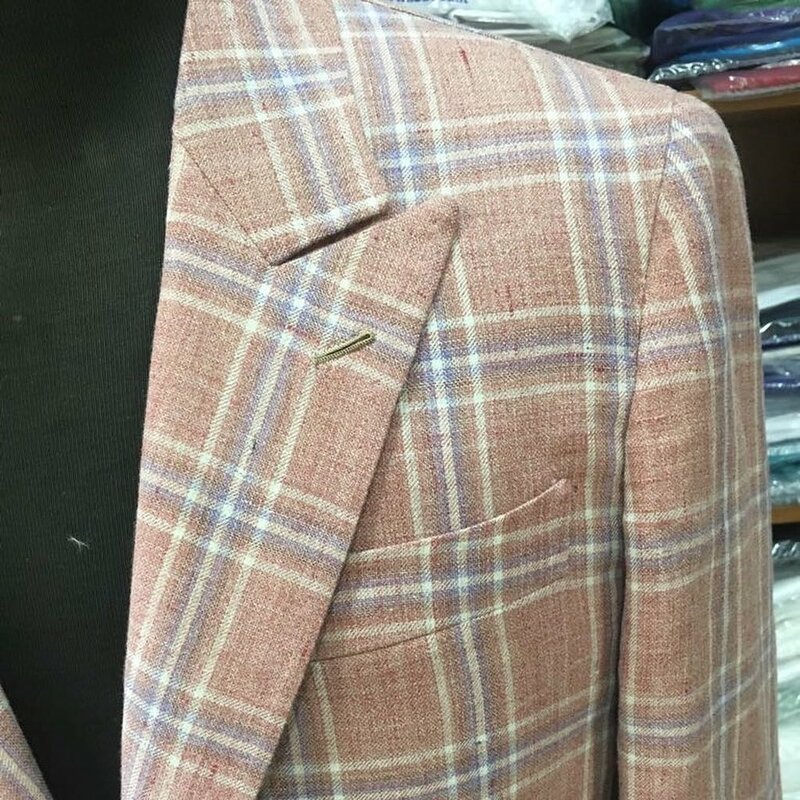 Looking beyond the fabric itself, we can personalize the internal lining of your suit with a completely unique look and design using your own artwork, photography or vintage prints (see our 360 Bespoke lining option). 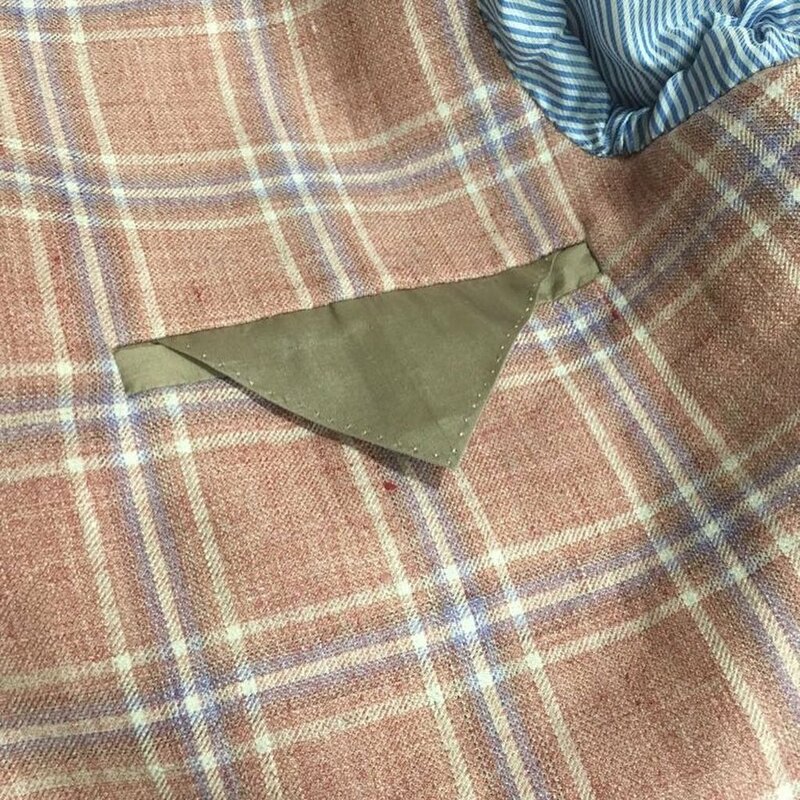 Additionally, you will be able to customize the shape of pockets, lapels, patches, etc. and the materials that give life to the details and accents of your jacket including piping, facings, patches and flaps. For new customers, we will fly and meet you at your home or office anywhere in the continental US (lower 48 states) and Canada for an initial consultation. Fittings occur every spring and fall in New York City and San Francisco. The 360 Bespoke suit includes cloth, cloth swatches/samples, design consultations, up to two fittings with our tailor and a complimentary fitting adjustment after delivery. Because of the similarity of climates, Sicilian tailoring is superbly suited for the California lifestyle. This is a summer sports jacket in a H&S 8oz wool-linen-silk blend made for a customer in the San Francisco Bay Area. It is made with Sicilian shape and lightness. 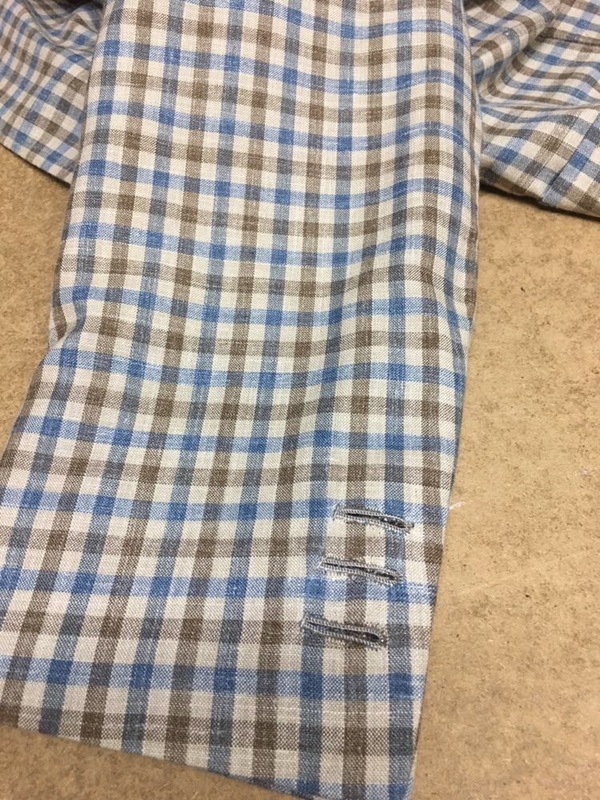 I've included a few close-ups around the shoulder, chest, inside, under the collar and sleeve buttons. No worries of you live in colder climes - Sicilian tailoring can easily adjust to support heavier fabrics. Ordering your first bespoke suit can be daunting. So many questions! We try to eliminate these uncertainties by focusing your attention on just one decision - blue or gray - for your first three suits with Sicilian Reserve. For most working professionals, your first suit should be one of those two colors. This is especially true if you are building a bespoke rotation in your wardrobe. For navy blue, choose the Naxos suit. For grey, choose the Leontini suit. For a wrinkle resistant suit up to the rigors of long-distance travel, choose the Triskelion suit. For a little more fun, go for the Etnea sports jacket. The rest is managed by us with your input of course.